Keeping the peace in the boardroom or just making a statement for mankind has never been easier with this subtle peace sign silk necktie. You'll be amazed at the power of visual suggestion. 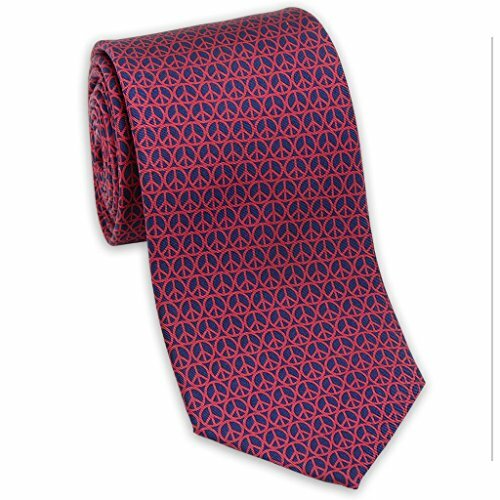 Keeping the peace in the boardroom or just making a statement for mankind has never been easier with this subtle peace sign silk necktie. Length of 57", Width of 3 1/2". Hand-finished in New York City. Made of 100% silk. Cleverly packaged in a deceiving gift tube... he'll never know it's a necktie.